This Indigo Berry Brownie came from the need to take a dessert to a potluck BBQ a few weeks ago with very little time to work with. I had forgotten about my dessert duties until I woke up that day and of course I had full day of work to do before I left for the gathering. I didn’t feel desperate enough to go totally store bought but I knew that I didn’t have time for something totally from scratch. Luckily I came up with this and it turned out super tasty. Combine Brownie mix with ingredients (mine called for oil, water and eggs) according to the box directions and add chocolate chips. In separate container beat together cream cheese, sugar and jam.Spread over baked brownie. Sprinkle berries on top and serve. Super yummy and just easy enough but different and fancy enough that you will proudly bring it to any get-together! What a great quick dessert! I usually try to make everything from scratch, but sometimes you just can’t make that happen. These would be a pretty tasty alternative. Marissa, I want some PLEASE!!!!!! 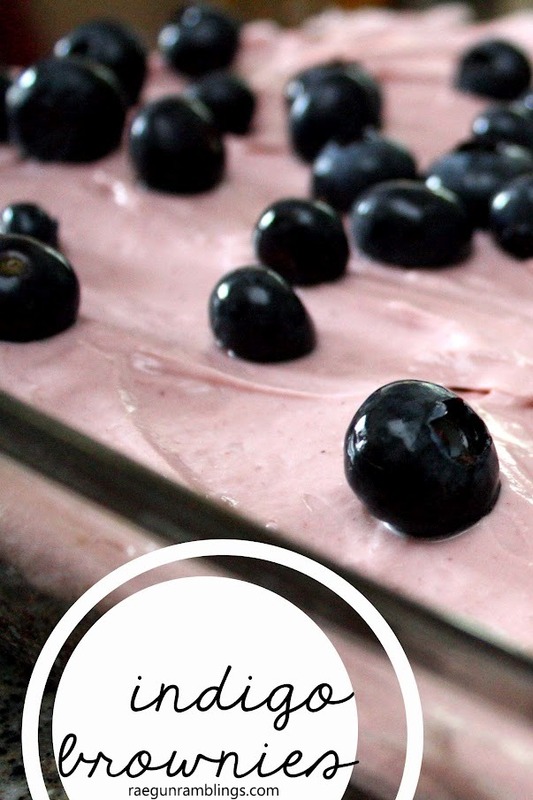 I would never have thought of mixing blueberry and brownies. Brilliant ! They sound wonderful and I can’t wait to make them.